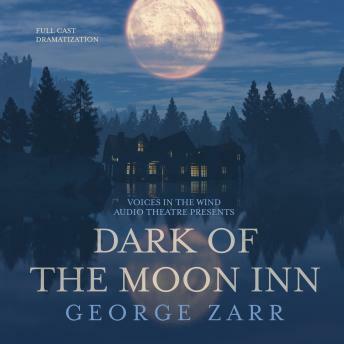 From award-winning writer/director/producer George Zarr comes a five-story anthology of suspense and mystery. Each tale features a full cast, engaging sound effects, and original music. Finding His Voice - The voice-over business intensifies into a deadly game of cat and mouse between three people. The hunter and the hunted crisscross through the worlds of film, radio, and television-until everything ultimately depends on the sound of a single voice. The Doctor is In - A physician from Minneapolis, well-versed in metaphysics, mysteriously barges into the lives of an unsuspecting couple, leaving them in doubt as to whether their weird guest is really a physician. Or is really well-versed in metaphysics. Or for that matter is even from Minneapolis. Personal Delivery (Co-written with Andrew Joffe) - A man asks his dying sibling to deliver a personal message to their mother-and receives her absolute and unexpected final answer! Every Now and Then - A sunny day, a quaint antique store, browsing through the artifacts of the past. To some, these are the ingredients for a pleasantly spent afternoon. To Frank, it is the beginning of a journey that will tear his world inside out. Is his amusing and puzzling journey down memory lane an actual journey, or a careening descent into madness? School Spirit - After a horrifying nighttime brush with the supernatural, Michelle shakily bolts out of her house and into her first day of high school-a first day that might also be her last. Recorded live in front of a terrified audience.